Bucknell’s Bertrand Library is home to the Digital Scholarship Studio, a public-facing space dedicated to digital collaboration, innovation, teaching and research. The studio provides a comfortable and accessible space where members of the Bucknell community can collaborate on digital work, learn more about the best methods for employing technological tools in scholarly applications, and discover and experiment with emerging technologies. 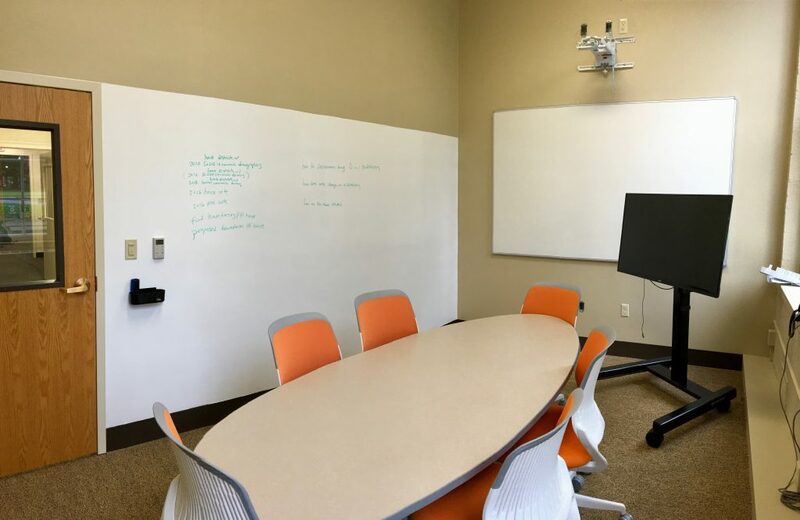 In the summer of 2018 the former Digital Scholarship Center and offices formerly occupied by the TLC were converted to a new 24-hour space for students. 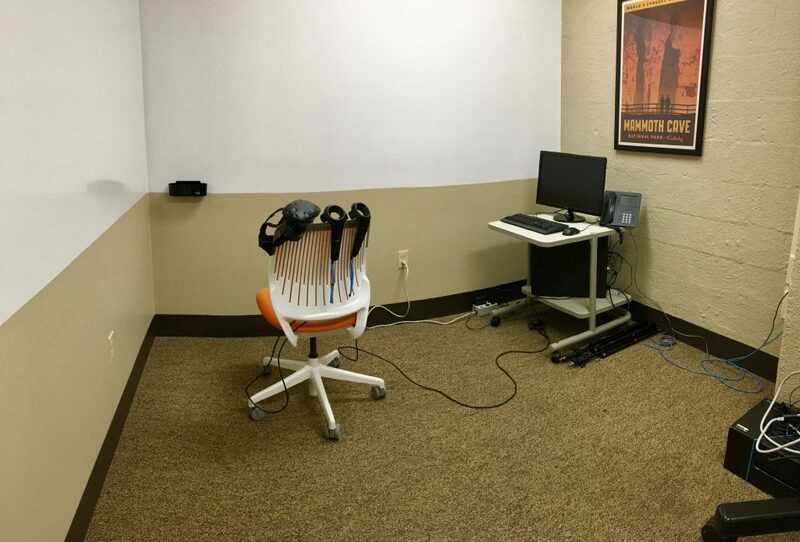 The possible relocation of the Digital Scholarship Center provided an opportunity for us to reconsider the space and how members of the campus community used its resources. The new Digital Scholarship Studio spaces expands collaboration opportunities and continues the spirit of innovation found in the former space. We renamed the space the Digital Scholarship Studio as it better reflects the nature of the space as a location where digital scholarship is created as opposed to The Digital Scholarship Center which members of the campus community thought was a collection of staff offices and rooms. The Cave is our innovation space. This is where we test new technologies with faculty and students. Currently the Cave houses our virtual and augmented reality equipment. Members of the campus community may reserve time in this space via the Bertrand Library Equipment Desk. A collaborative meeting space (capacity 5 people), the River Project Room is intended as a workspace for digital scholarship projects. It contains a 55″ LCD screen with wireless projection and a white board. The room can be scheduled (8:00 AM – 5:00 PM Monday-Friday) by any member of the Faculty who has worked on a digital scholarship project with L&IT staff or is in the development stages of a new project. Contact dps@bucknell.edu to be given the ability to schedule the room via Google Calendar. A collaborative meeting space (capacity 4 people) the Canyon Project Room is intended as a workspace for digital scholarship projects. It contains a 55″ LCD screen with wireless projection and a white board. The room can be scheduled (8:00 AM – 5:00 PM Monday-Friday) by any member of the Faculty who has worked on a digital scholarship project with L&IT staff or is in the development stages of a new project. Contact dps@bucknell.edu to be given the ability to schedule the room via Google Calendar. This meeting space (capacity 6 people) is intended for use by DP&S and Research Services Staff for digital scholarship projects. This is our primary location for digital scholarship consultations with students, faculty and staff.